Black Friday is on its way and Ryland Homes is celebrating the start of the holiday shopping season with special values on its move-in-ready new homes. 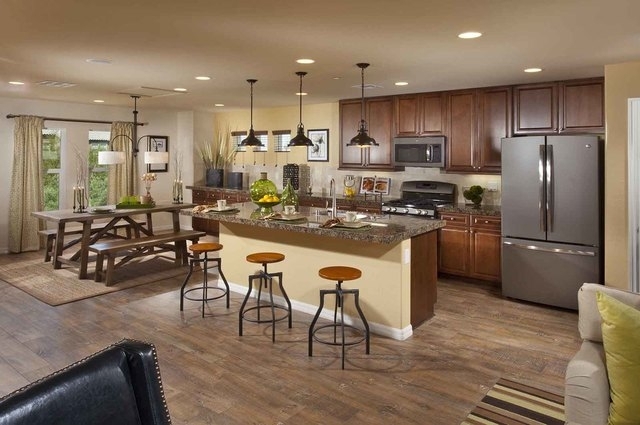 Courtesy photo The Hudson model is offered at Ryland Homes’ Zephyr Ridge neighborhood in Henderson. 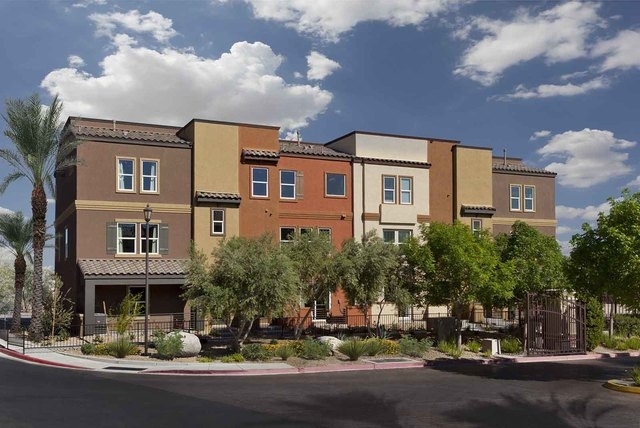 Courtesy photo Ryland’s Monteverdi is a townhome neighborhood innorthwest Las Vegas. Courtesy photo The Marcello model home at Ryland’s Monteverdi townhome neighborhood in northwest Las Vegas features a kitchen with a breakfast nook. 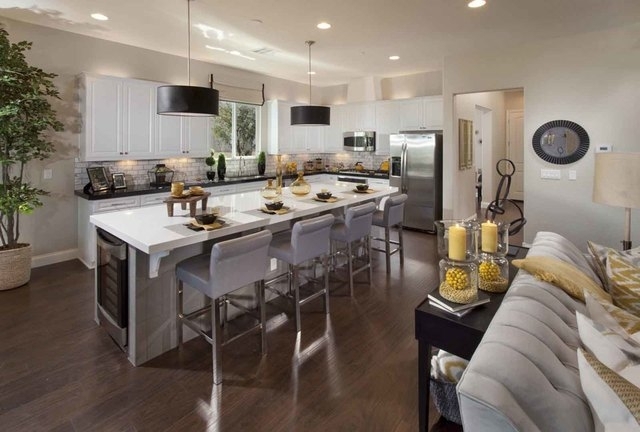 Courtesy photo The Hudson model at Ryland Homes’ Zephyr Ridge neighborhood in Henderson showcases a kitchen with a center island. Monteverdi is one of Ryland’s newest three-story town house collections that includes rooftop decks on all of its homes, priced from $175,990. Ten quick move-in homes are available and range in size from 1,956 to 2,227 square feet. Guests to Monteverdi can see the detail put into the resort-style neighborhood. It is a gated community that offers residents three-story town houses with two-car garages, up to four bedrooms and up to 3½ baths. Residents enjoy their a community pool, fitness room, tot lot and walking trails. Every home at Monteverdi is also built with Ryland’s signature rooftop deck, one of the builder’s most popular features. Across town in Henderson is another Ryland neighborhood with move-in ready homes. Zephyr Ridge offers eight single and two-story plans that range from 2,104 to 3,492 square feet. All of its two-story homes include three-car garages on pool-sized home sites. The homes can be built with up to six bedrooms and up to three baths and offer dual master suites, tech areas and walk-in pantries and oversized garages. Zephyr Ridge is an Energy Star certified neighborhood being built by one of America’s most trusted homebuilders. Ryland Homes has been recognized by Builder magazine as the fastest growing public homebuilder in the country and by the EPA with an Energy Star Leadership in Housing Award. Ryland Homes is offering dozens of move-in ready homes with special pricing for a limited time. Prices start in the high $100,000s. For details on all of Ryland’s move-in ready homes in Southern Nevada, visit www.rylandvegas.com. Monteverdi’s sales office is at 4650 Ranch House Road. Take U.S. 95 north to the 215 Beltway and head east on 215. Head south on Decatur Boulevard and turn left on Rice Road. Turn left on North Montgomery Street and right on Ranch House Road to the community. For more information, call the Monteverdi sales office at 702-675-7505. The Zephyr Ridge sales office and model homes are at 960 Everest Peak Avenue in Henderson. Take the 215 Beltway heading East and exit Stephanie Road heading south. Turn left on Horizon Ridge Parkway and right on Gibson Road to the community on the right. For more information, call 702-823-5406. 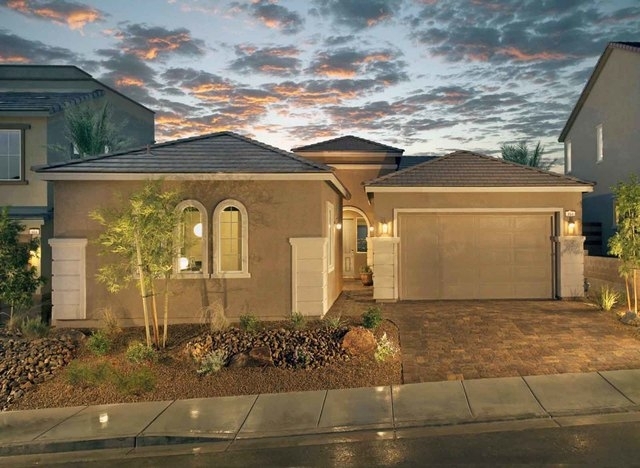 Ryland Homes is selling new homes in collections throughout Southern Nevada. Sales offices are open from 10 a.m. to 5 p.m. Sunday through Thursday and noon to 5 p.m. Fridays. For more information, visit www.rylandvegas.com.